Huawei Consumer Business Group (BG) today unveiled the HUAWEI Mate 20 Series, one of the most highly anticipated smartphone series of the year. Representing a momentous milestone in the history of the HUAWEI Mate Series, the HUAWEI Mate 20 Series embodies the pinnacle of innovation. Designed with the industry’s most powerful and sophisticated process technology, the latest Huawei flagship devices set a new bar by which all 2018 smartphones will be measured. The HUAWEI Mate 20 Series is powered by Huawei’s densest and highest performing system on chip (SoC) to date—the Kirin 980. Manufactured with the advanced 7nm process incorporating the powerful Cortex-A76-based CPU and Mali-G76 GPU, the SoC offers improved performance and an unprecedented smooth user experience. 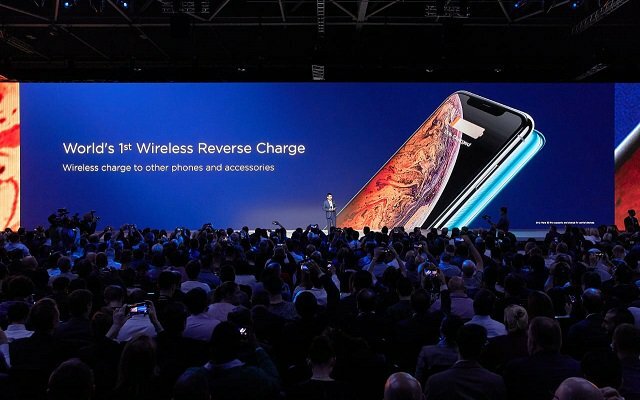 The new 40W HUAWEI SuperCharge, 15W HUAWEI Wireless Quick Charge, and large batteries work in tandem to provide users with the best battery life. The Matrix Camera System includes Leica Ultra Wide Angle Lens that lets users not only see wider but also closer with its new macro distance capability. The Hyper Optical Pattern on the glass back plays with light and shadows, producing an iridescent optical effect that is immediately captivating. The Matrix Camera System adopts the iconic Four-Point Design that exudes personality, giving the device a unique visual identity that is recognizable even at a distance. The HUAWEI Mate 20 Series is shipped with the highly customized Android P-based EMUI 9 operating system, on which consumers can enjoy all productivity and entertainment features easily and conveniently with a few simple taps and swipes. Available in 6.53-inch, 6.39-inch, and 7.2-inch sizes, the HUAWEI Mate 20 Series encompasses four devices: HUAWEI Mate 20, Huawei Mate 20 Pro, HUAWEI Mate 20 X and PORSCHE DESIGN HUAWEI Mate 20 RS. “Smartphones are an important entrance to the digital world. The HUAWEI Mate 20 Series is designed to be the best ‘mate’ of consumers, accompanying and empowering them to enjoy a richer, more fulfilled life with their higher intelligence, unparalleled battery lives, and powerful camera performance,” said Richard Yu, CEO of Huawei Consumer BG. The SoC at the core of smartphones has a determining factor in a device’s performance and efficiency. Manufactured with the cutting-edge 7nm technology process, the SoC fits 6.9 billion transistors within a die the size of a fingernail. Compared to Kirin 970, the latest chipset is equipped with CPU that is 75 percent more powerful, GPU that is 46 percent more powerful and NPU that is 226 percent more powerful. Furthermore, the efficiency of the components has also been elevated: the CPU is 58 percent more efficient, GPU is 178 percent more efficient, and the NPU is 182 percent more efficient. The Kirin 980 is the world’s first commercial SoC to use the Cortex-A76-based cores. Huawei has innovatively designed a three-tier architecture that consists of two ultra-large cores, two large cores, and four small cores. This grants the CPU the flexibility to allocate the optimal amount of resources to heavy, medium and light tasks for unprecedented levels of efficiency, simultaneously improving the performance of the SoC while enhancing the battery life. The Kirin 980 is also the industry’s first SoC to be equipped with Dual-NPU, granting it higher On-Device AI processing capability to support any and all AI applications. The HUAWEI Mate 20 X supports an ultra-large 5000mAh battery and is equipped with a revolutionary HUAWEI super cool system that uses a combination of graphene film and a vapor chamber to deliver outstanding cooling performance. With the cooling system in place, the CPU and GPU embedded in HUAWEI Mate 20 X can remain at full throttle for an extended period of time and deliver the smoothest and most satisfying gaming experience to consumers. The HUAWEI super cool system also marks the first time graphene is utilized to cool smartphones. Building on the foundation of HUAWEI P20 Series’ camera system, Huawei augmented the HUAWEI Mate 20 with a powerful addition—16mm Leica Ultra Wide Angle Lens. This wider perspective creates a sense of spaciousness and a three-dimensional effect to the images. The new camera system also supports macro distance, which produces crisp images of objects that are placed as close as 2.5cm from the lens. The added ultra-wide angle lens and macro support complete the feature set of the camera system, elevating it to a truly all-round camera that is ready to capture any and all action. The HUAWEI Mate 20 Pro is equipped with a 40MP main camera, a 20MP ultra-wide-angle camera, and an 8MP telephoto camera. Together, the trio of lenses supports a wide range of focal lengths (equivalent to the performance of a 16-270mm zoom lens), enabling it to mimic the results from professional cameras. As a key pillar supporting Huawei’s all-connected, all-scenario ecosystem, HUAWEI Share 3.0 delivers a revolutionary improvement in device interconnection, allowing users to transfer files between smartphones and PC. This is an innovative, Huawei-proprietary solution that enables device interconnectivity. It revolutionizes the way people transfer images and videos: all it takes is one tap to establish a connection between a smartphone and a PC for easy and fast file sharing. As an expression of the HUAWEI Mate Series DNA, all devices carry a FullView display with a high screen-to-body ratio. Compactly engineered, every device from the 6.39-inch HUAWEI Mate 20 Pro to the 7.2-inch Huawei Mate 20 X can be comfortably used with a single hand. The grace of natural elements is captured on the design of the Huawei Mate 20 Series. In particular, the HUAWEI Mate 20 Pro’s chassis is curved on all eight sides—a marvel to behold, and a pleasure to hold in the hand. For the PORSCHE DESIGN HUAWEI Mate 20 RS, Huawei, and Porsche Design ingeniously combined race track elements with premium materials to create a device that exudes elegance and offers a firm, ergonomic grip. The Matrix Camera array on the back of the HUAWEI Mate 20 Series features a four-point design with the three cameras and sensor encircled in a polished metal frame, producing an avant-garde look that is both bold and distinct. The flagship series comes in a new Emerald Green colorway, which is as brilliant as its namesake gemstone. The Hyper Optical Pattern on the glass back uses a complex hairline pattern to produce an iridescent effect that is not only highly durable but also makes the device easy to grip and fingerprint resistant. The devices retain a clean look even when they have been used extensively. The new HUAWEI Mate 20 Series, as well as HUAWEI WATCH GT, HUAWEI Band 3 Pro will go on sale in countries including the U.K., France, Italy, and the United Arab Emirates soon. The HUAWEI Mate 20 (4GB + 128GB configuration) will have an MSRP of EUR799 and the HUAWEI Mate 20 (6GB + 128GB configuration) will have an MSRP of EUR849 from 16th October 2018. The HUAWEI Mate 20 Pro (6GB + 128GB configuration) will have an MSRP of EUR1049 from 16th October 2018. The HUAWEI Mate 20 X (6GB + 128GB configuration) will have an MSRP of EUR899 from 26th October 2018. The PORSCHE DESIGN HUAWEI Mate 20 RS (8GB + 256GB configuration) will have an MSRP of EUR1695, and the PORSCHE DESIGN HUAWEI Mate 20 RS (8GB + 512GB configuration) will have an MSRP of EUR2095 from 16th November 2018. Embodying exquisite design, powerful performance, extraordinary capturing capabilities, and next-generation intelligence, the new HUAWEI Mate 20 Series is the partner of choice for professionals pursuing quality of life.